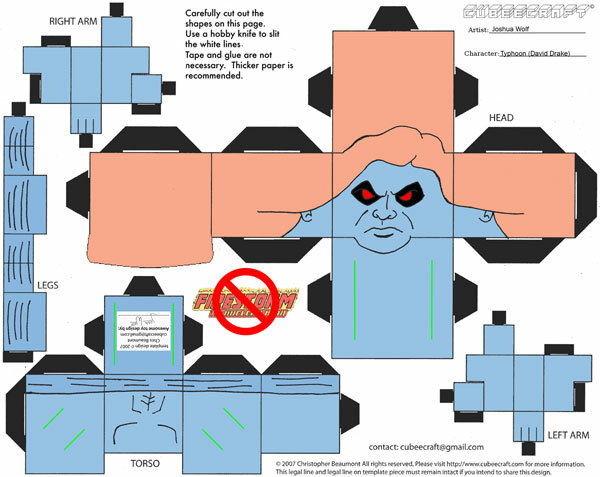 Today we’re looking at more adorable do-it-yourself Cubees designed by Joshua Wolf! This time around he’s focused on several of the Nuclear Man’s rogues! These are made entirely from folded paper; no tape or glue necessary! To get an idea what an assembled Cubee looks like, check out this Firestorm (Ronnie Raymond) Cubee. Previously, we’ve also featured Cubees of Firehawk, Firestorm (Jason Rusch), Killer Frost, and Plastique! 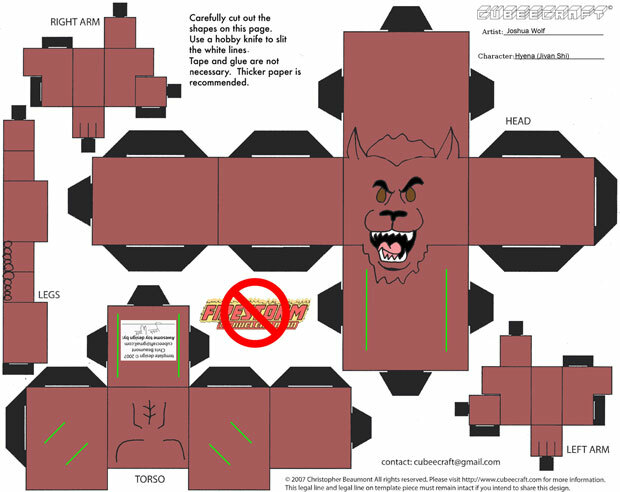 Check out all of Joshua Wolf’s Cubee designs over on deviantART. 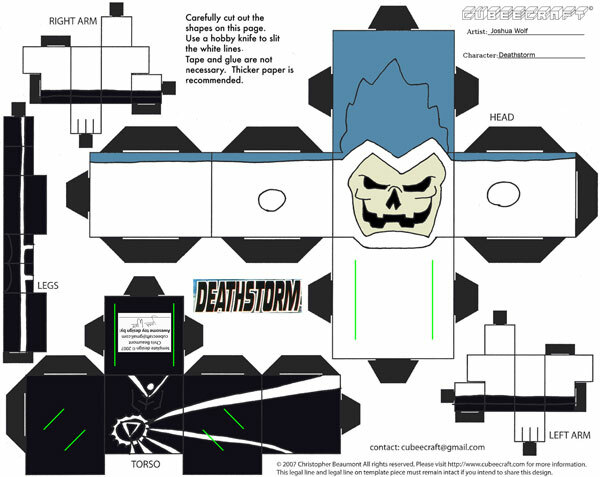 First up you’ll find that villain we love to hate, Deathstorm! Click here to download a full-size version on deviantART. Next is one of my favorite Firestorm rogues, Typhoon! Click here to download a full-size version on deviantART. Next up we’ve got another classic Firestorm rogue, the Hyena! Click here to download a full-size version on deviantART. Let’s be honest, this is the closest you’ll ever get to a Black Bison action figure! Click here to download a full-size version on deviantART. Next we’ve got the lovely Silver Deer! A more obscure rogue, but certainly worth remembering. Click here to download a full-size version on deviantART. Our last rogue is one of my favorites to mock. It’s Zuggernaut! Nothing says Aliens/Guyver-wannabe like our buddy Zuggernaut! Click here to download a full-size version on deviantART. 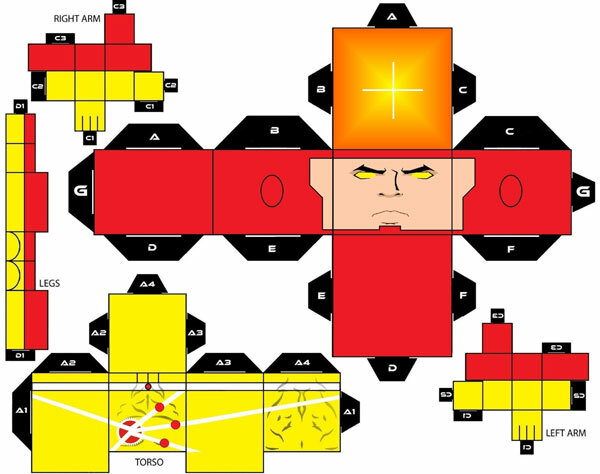 As a bonus, check out another Firestorm Cubee – this time the Elemental version! Click here to download a full-size version on deviantART. 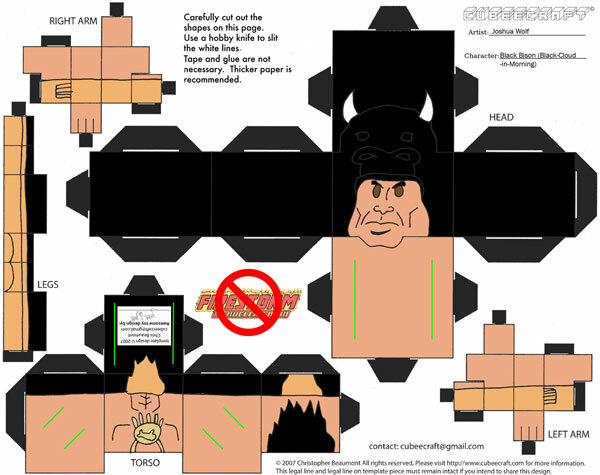 While I was on deviantART looking at Cubees, I came across this awesome one below! 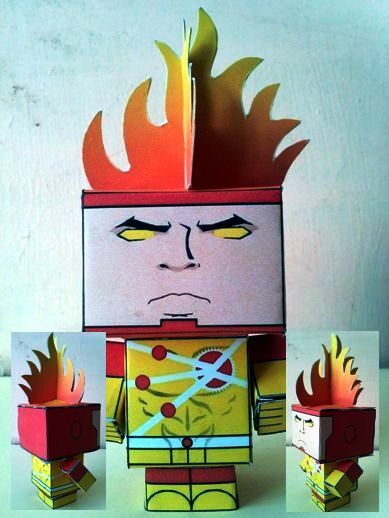 This Firestorm Cubee was done by Jesus Ayon (handita2006 on deviantART). Click here to download a full-size version on deviantART. 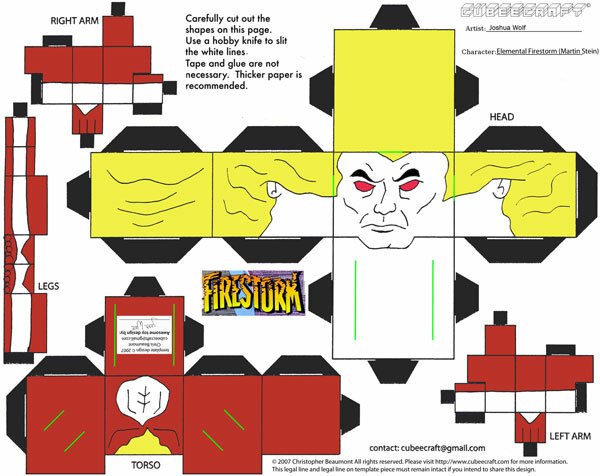 Here is a picture of Jesus Ayon’s completed Firestorm. Support Firestorm (and Cubees)! Fan the flame! Posted in: Deathstorm/Black Lantern Firestorm, Firestorm #01: Original (Ronnie/Martin), Firestorm #03: Elemental I (Ron/Mikhail/clone), Firestorm #04: Elemental II (Martin), Rogues Gallery. Deathstorm has a jack o’ lantern face! HA! In all my days and nights on this planet I would never have predicted encountering a Zuggernaut cubee.